Words can convey such inspiring ideas! Remind yourself of what's really important, look upon some words of wisdom, motivate yourself to do great things or just read something that makes you smile. 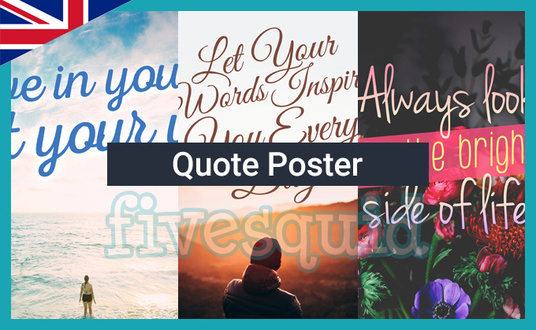 Using words that you supply, I'll design your quote poster with an appropriate typeface and background. You can send me a picture to go alongside your quote or I'll spend time online searching for a photograph (public domain/copyright free) to go behind your quote.